I use this simple format to easily organize information from any type of reading: fiction or non-fiction. 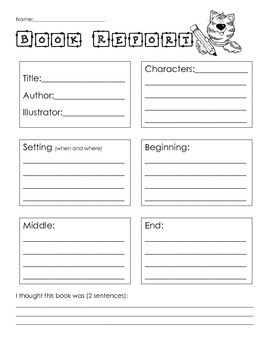 Children include the story title, author, illustrator, beginning, middle and end of the story, and also add their opinion at the bottom of the page. In Kindergarten I use this format in June. It would be great for 1st and 2nd grades as well.